Even though European Roulette is the most common, online versions need to be of the best quality to stand out. Over the last few years, the online industry introduced many new variations of online roulette. While many new forms are popular, there’s no doubt that European Roulette at bCasino remains among the top. All top-rated developers provide their own take on European Roulette, offering high-quality graphics, multiple game features, and unquestionable fairness. Many developers don’t have the same level of gaming perfection, while others, such as European Roulette from Play’n GO, manages to show panache and superiority. Play’n GO’s variation of online European Roulette at https://www.bcasino.co.uk/ provides a fairly standard layout, which as a professional Roulette player, is exactly what you’ll need. The game does, however, include 3D graphics and provides a view of the table and wheel as if you’re standing next to it. Therefore, the game provides the entire table and wheel within a single view. The graphics are impressive and truly realistic. The game doesn’t have a real dealer that puts the ball in motion, but each round is feels and looks real. The motion of the ball and the way it comes to a stop is natural. There’s also a little window that appears on the screen after each round, showing you the winning number while it processes payouts to your account. When it comes to the layout, a standard Roulette interface is what you can expect. The wheel and table are completely standard and doesn’t include any modifications. 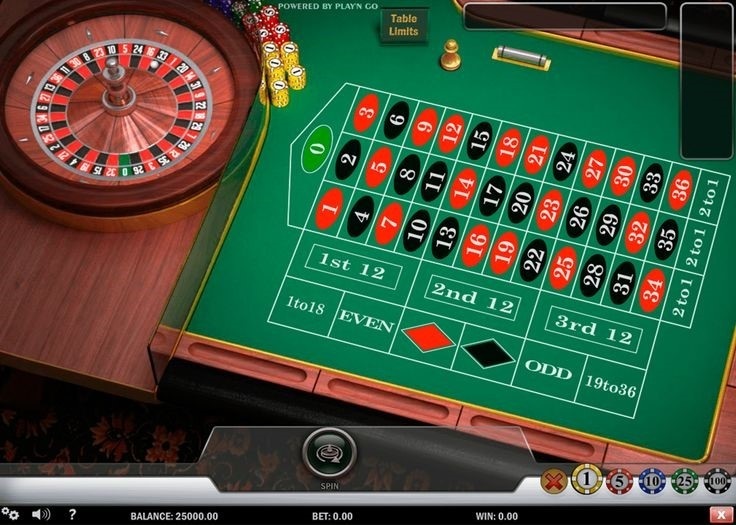 The developer aims to deliver a realistic gaming experience as the stack of chips next to the wheel and the cash shoot form part of the layout. Sure, these are completely useless to online players, but it provides a familiar layout. Our Play’n GO variation of European Roulette here at bCasino provides a straightforward betting interface that doesn’t include many other features. It’s perfect for players who seek a straightforward gaming experience with no other features that just let in the way. It’s also perfect for beginners, especially with the lower bet values, simple chip values, and detailed graphics. Play’n GO includes other important information such as game history as well, keeping you informed on the last ten winnings numbers. However, regarding additional features such as hot and cold numbers, you might be disappointed with the basic layout. However, the layout is clean and simple. At bCasino, this version of European Roulette comes with various betting values and table limits suitable for beginners and intermediate players. The lowest possible chip value starts at £1.00 with a maximum of £100.00. The table limits start from £1.00 per bet, up to £1,000 in total, allowing you to use the highest chip value in ten places. The table limits are within reason, but for those of you applying a strategy with a higher bet, you might find yourself running into problems as the table as a single bet limit of £100.00. Using a betting system or any strategies is easy with all the chip values at the bottom of the screen. Changing the bet value is just a click away, and with the “bet remover” only taking away one chip at a time, it’s easy to apply quick changes or fix a bet in the wrong position. Below the betting options, the game includes your account information alongside the total bet for the current round as per usual. If opting to play with a basic strategy, the game results still remain to be fair and random. The options at the bottom of the screen only include re-bet and clear table after a spin. While these options are standard, having a double up feature would make things much easier for professional players. Some of these virtual tables tend to take their time when it comes to having the ball settle in the winning pocket. Sure, it only takes a few seconds, but if you’re only focusing on the game or working on a betting system, it seems to take forever. Since our European Roulette version here at bCasino UK offers only the standard game, you’ll find no other betting options such as racetrack is available. However, as for the standard game, there are no lack of betting options. Instead, the interface impresses with a popup window that tells you the bet limits and winnings as you hover the cursor over each of the options. It also lights up the numbers each bet covers, once again making it easy for new players. Inside Bets: Straight, Split, Corner, Street, Line, and Column. Outside Bets: 12’s (First, Second, Last), 18’s (First and Last), Even/Odd, and Red/Black. The table provides easy to use betting options and isn’t too sensitive when it comes to holding the cursor in the right betting position before clicking to apply the bet. If applying fast bets to random places around the table, it reacts perfectly and places the bets at your desired location . The fact that no timer applies to the rounds and that all the European Roulette options are available provides a great opportunity to work on a system or learn the game as a new player. The layout also counts towards the ease of betting and learning, especially with the popup window giving you information about the current betting options. 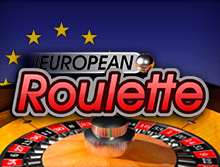 Get Started with European Roulette at bCasino Today!